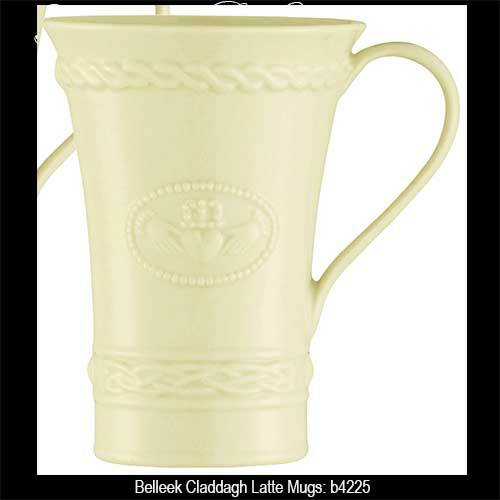 The Belleek Claddagh Latte Mugs were Introduced in 2017. These Belleek latte mugs are enhanced with a double sided Claddagh and Celtic knot-work motif. The Claddagh latte mugs are made of fine Irish china and measures 4 1/4" wide x 5 1/4" tall. The Belleek China mugs hold 15 ounces and are safe to use in the dishwasher and microwave.